I know you have heard of Invisalign, but have you heard of ClearCorrect. ClearCorrect is the clear and simple choice. No wires. No brackets. Just clear, convenient comfort—every reason to smile. The difference between Invisalign and ClearCorrect is that ClearCorrect is made in the USA. 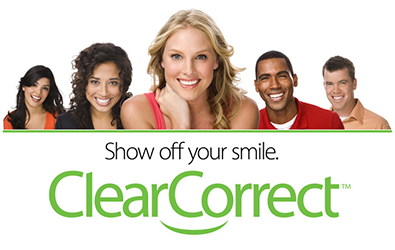 ClearCorrect can treat a wide variety of issues that keep people from achieving their ideal smiles. Straighter teeth don’t just look better; they work better too. Poorly-aligned teeth can interfere with bite function, wear out quicker, and are more prone to cavities. Call our office today to schedule a consultation with Dr. Zeik for ClearCorrect® at (732) 863-8040 or use our online form to request your appointment.